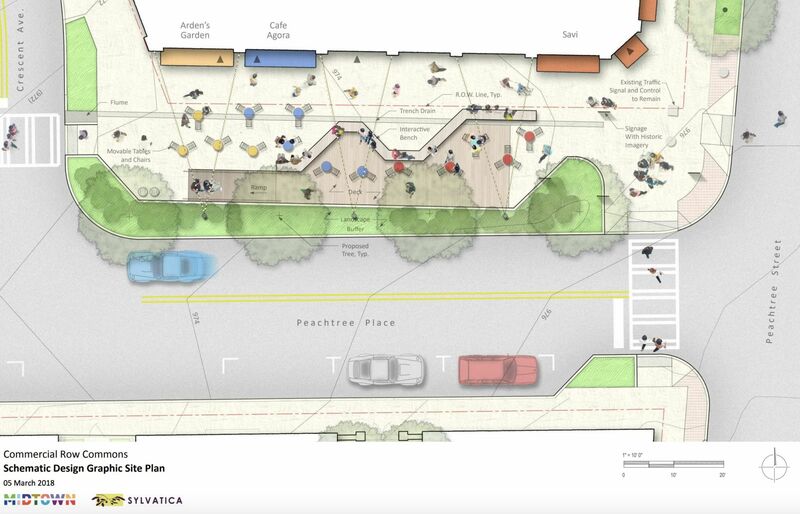 Midtown Alliance held a 'public input' meeting for the 'parklet' Thursday. Midtown Alliance Thursday held a "public input" meeting for Commercial Row, a proposed "parklet" or pint-sized park at the corner of Peachtree Street and Peachtree Place. More than 70 residents gave feedback at the input session of the preliminary design concepts. "In order to accommodate the community’s stated interests in creating more public open space, and to improve safety and access for people on foot, Midtown Alliance and the City of Atlanta’s Office of Mobility Planning are exploring ideas to redevelop open space on the northwest corner into a 'parklet,'" according to a microsite for Commercial Row. Design firm Sylvatica Studio is behind the initial Commercial Row proposal. 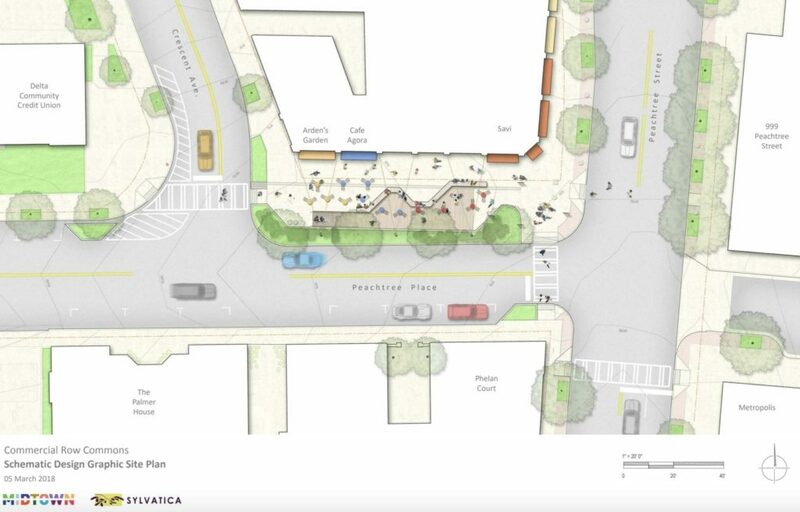 The project calls for the repurposing of six on-street parking spaces into "usable, public space for patrons of the Commercial Row retailers and the neighborhood as a whole." "Clear space" on the sidewalk would also be expanded to "better accommodate the hundreds of people walking along this block each day." Finally, plans call for the "realignment of the Peachtree Place and Peachtree Street intersection" to "improve safety for pedestrians by shortening the crossing distance." Once the project's design and engineering phases are complete, Commercial Row will move into construction. Midtown Improvement District (MID), a self-taxing district created by Midtown commercial property owners to augment public resources and catalyze economic growth in Midtown, will fund the $77,000 project. string(36) "Peachtree Street and Peachtree Place"
Sounds like a SUPER plan. This is a terrible idea. They have one of these at Highland and Amsterdam that's both dangerous and took away the precious few street parking spaces for those shops. Too, no one uses it. Two very different locations with very different foot traffic. Sounds like a good idea to me. The parklet deserves period hardscape and not the amorphous shape that is depicted.